Two Whale Sharks (Rhincodon typus) swim close to each other off the coast of Mexico. Shot ends with a spin to the Whale Shark underneath. hd00:25Hawksbill turtle (Eretmochelys imbricata). Front view of an adult male, feeding on soft corals. Red Sea, Egypt. 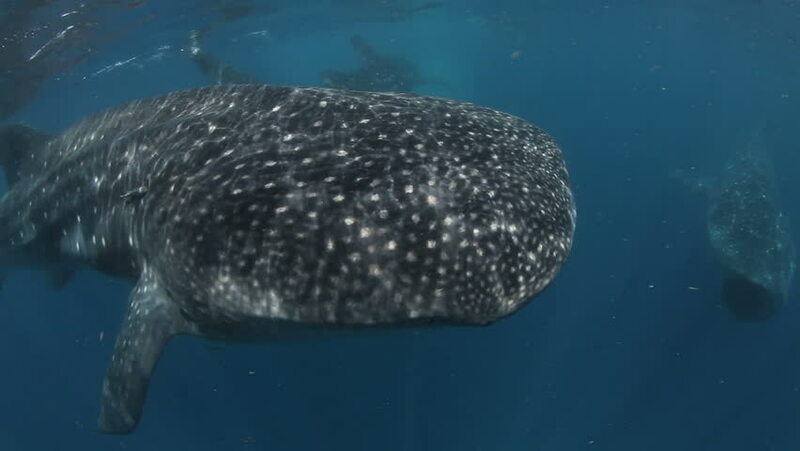 hd00:14Majestic whale shark swims slowly by camera; close up on remora fish and texture of whale shark.